Editor's Note: Professor Peases\' column is the fifth installment of ExtraCurricular, an occasional series of commentary by Dartmouth professors. Each column approaches a topic of the author's choice, highlighting issues of faculty interest and opening them up to response from our readers. The website SaveDartmouth.Org has described the recent decision to expand Dartmouth's Board of Trustees as a violation of the alumni's right to fair representation. But this characterization covers over the much greater damage to processes of representation that has resulted from the last three election campaigns. The petition candidates who have prevailed in these elections have done so by manufacturing fiction about Dartmouth that willfully misrepresents the conditions under which faculty and students teach and study. During the course of these campaigns, faculty and students are deprived of any means of setting the record straight. The fiction that the successful petition candidates have manufactured about Dartmouth includes the following set of claims: that Dartmouth has speech codes, that Dartmouth classes have increased in size, that Dartmouth students cannot enroll in the classes they want, that Dartmouth faculty privilege their research over their teaching responsibilities and that Dartmouth has become a research university. Although these claims appeal to fears that are apparently harbored by some Dartmouth alumni, all of them are disconfirmed by the facts. Despite pressure from disparate groups, Jim Wright has refused to introduce speech codes at Dartmouth. 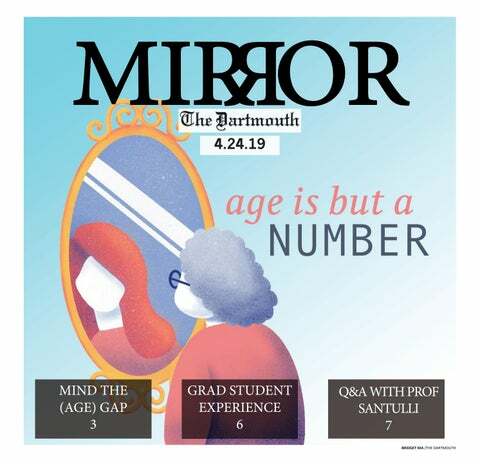 In 2006 the median class size at Dartmouth was 16, 65 percent of the classes had fewer than 20 students, 91 percent of Dartmouth students reported getting into the classes they wanted, 98 percent expressed their satisfaction with the faculty's availability outside the classroom. In that same year, over 1,000 Dartmouth students took advantage of research programs that enabled them to work one-on-one with a Dartmouth professor. Dartmouth is a robust liberal arts college that has included the elements of a small research university throughout most of its history. Although the departments and programs in Dartmouth's liberal arts division continue to attract faculty with the professional standing of graduate research professors, the faculty have not inaugurated Ph.D. programs in the liberal arts for two very good reasons. It would take at least 25 years for a department to achieve recognition as a doctoral program of the first rank, and the supply of doctoral students in the humanities and the social sciences far exceeds the demand. Dartmouth's mission statement is founded upon the assumption that research and teaching are not opposed but rather interdependent aspects of the scholar-teacher. As scholars we are dedicated to pursuing research at the cutting edge of our disciplines; as teachers we are committed to bringing that research to life for Dartmouth students. Dartmouth students become the beneficiaries of this dynamic interaction by participating in it. The Dartmouth Center for the Advancement of Learning has instituted structures of mentorship that foster this interdependence to assure that faculty and students can learn together into the distant future. All of these factors have contributed to making Dartmouth an exemplary model for liberal arts colleges and research universities across the globe. Yet although these matters of fact disconfirm all of the petition candidates' claims, the petition candidates have nevertheless continued to repeat them from one campaign to the next. And they have attempted to discredit any and all efforts to expose the inaccuracy of these claims as the evidence of a cover-up. While they posture as defenders of Dartmouth, the architects of these negative campaigns have undermined faculty morale, and they have done tangible damage to Dartmouth's national reputation. Since 25 percent of the US News and World Report on Colleges and Universities ranking is based on reputation, I think it's worth considering whether these negative campaigns should be held accountable for having done the damage to Dartmouth's reputation that resulted in its falling out of the top 10 in the US News and World Report standings. In an effort to liberate Dartmouth from this ongoing campaign of misrepresentation, I suggest that the Dartmouth Alumni Council become more active in these elections. For example, they might appoint an election subcommittee assigned sole responsibility for checking the accuracy of all of the candidates' representations of what's taking place at Dartmouth. Any candidate whose platform misrepresents, distorts or falsifies the record could be required by this subcommittee, prior to the vote and at the candidate's expense, to send out a mass mailing to all alumni correcting the record. I further propose that the penalty for the refusal to abide by this requirement could entail the removal of that candidate's name from the race.